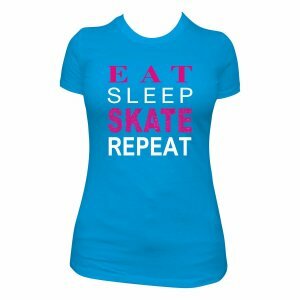 A gorgeous high quality slim-fit short sleeved crew neck t-shirt in black with the slogan ‘Shut Up and Skate’ across the front. 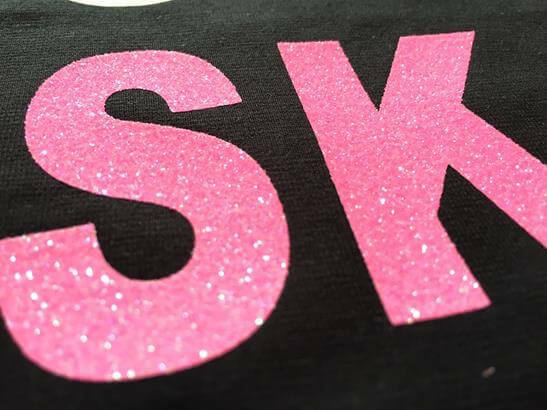 The words ‘Shut Up and Skate’ are produced in highly sparkly neon pink glitter flake which catches the light beautifully and does not shed. The skater shape is produced in sparkly white glitter flake. The kids and ladies tshirt shapes are slightly different but both made of the same high quality fabric – see photos for more info. 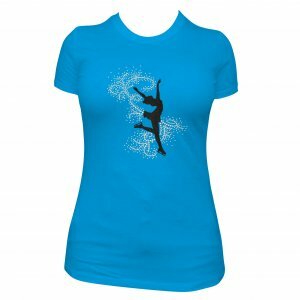 Modern shape t-shirt in soft, well-proven and stretchy fabric containing elastane for shape retention. Narrow rib with elastane at neck. Twin needle stitching. 96% Cotton 4% Elastane single jersey fabric. All designs are made to order. Makes a perfect present and arrives in a clear gift bag. Other colours available. Do not bleach. Do not tumble dry. Do not dry clean. Do not use fabric conditioner. Cool Wash. Wash dark colours together. Re-shape whilst damp. Dry out of direct sunlight. Iron on reverse of decoration. These t-shirts are made to order and can take up to 7 working days before dispatch (its usually quicker than this but will vary depending on demand). If you need your item by a certain date please contact me prior to ordering to confirm I am able to meet this date. I may be able to rush an order subject to demand.